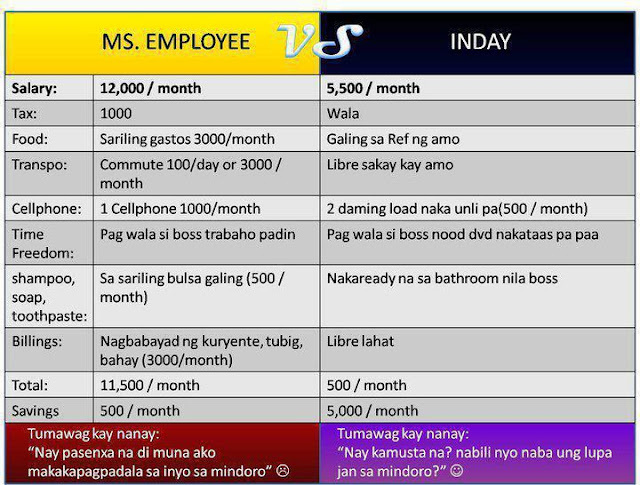 Venus Smileygal: Reality check: Working Individual vs Inday! Reality check: Working Individual vs Inday! On the other hand, I still prefer to have the job I have now. Working on something which you are passionate about is more fulfilling and fun. Though we cannot avoid struggles, stress and tough responsibilities, but this things makes life challenging and gives color to our life. It's all about passion and perseverance.